Our Lady of Sion > News & Events > News > Our Lady of Sion student win national Youth Grand Challenges competition. Our Lady of Sion student win national Youth Grand Challenges competition. Our Lady of Sion are immensely proud of Year 10 student, Blaise, who has won the Youth Grand Challenges Competition. This is a national British Science Association STEM competition which is supported by the Bill & Melinda Gates Foundation, setting young people between the ages of 11 and 19 the task of using innovative science and technology solutions to tackle global health and development issues. 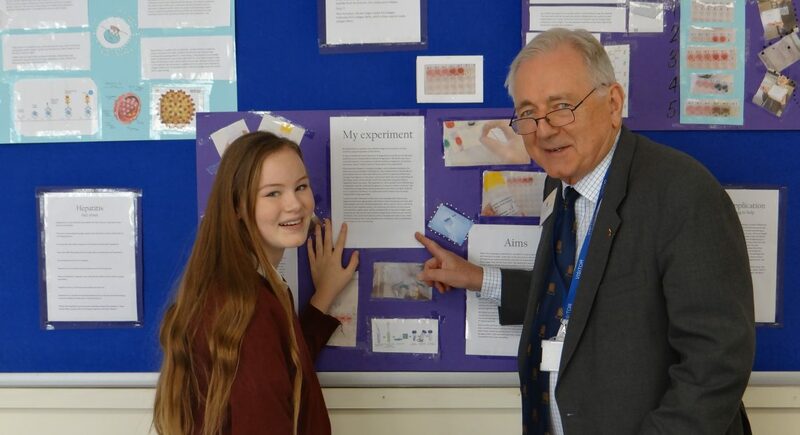 Blaise’s project entitled ‘Quicker, more efficient diagnosis method for hepatitis’ was one of 40 projects shortlisted for the final and she also produced a video to show how her project helps to tackle the Global Grand Challenges and the problems facing global health. Blaise had a fantastic day at the Finals ceremony and has won a signed book by Bill Gates and a travel bursary of £1500 to undertake a field trip abroad to broaden her experience and aid in future studies or career. She just has to decide where to go!